I grew up in a strong Jewish community in Milwaukee, Wisconsin. Although I was never particularly religious, I always felt a strong identity as a Jew. My husband and I went to Europe as newlyweds, thirty years ago, and visited the site of the Dachau concentration camp where some of my relatives died. I remember it looked like a museum, wiped clean of the horrors. It was as if the atrocities never happened. I wanted to feel anger, grief…something. I felt nothing. I went to Rwanda in 2006 as a journalist, a decade after the genocide that wiped out over a million people, to explore the connections between forgiveness and grief. I spent a month travelling in the 10,000 hills with a guide, interviewing genocide survivors at the churches and schools where there were still bloodstains on the walls and the bones of anonymous victims carefully stacked on shelves. It struck me that I was always the only one at these memorials. The guides were survivors, usually women, whose families and friends had been murdered at the site. I felt a deep connection with these women, not just as a Jew whose relatives had also been murdered in genocide, but as a human being whose soul ached for humanity. It struck me that the common human bond, the thing that ties us all together, is grief. My quest became more about finding grace — personal peace — than forgiveness. In Rwanda, they have a word for this: amahoro. This is the core theme of the novel I worked on for eleven years. Now, more than ever, I believe the world needs amahoro. Jennifer Haupt has been a journalist for more than 25 years, writing primarily about women prompted by their own depression and grief to reach out and help others to heal. She went to Rwanda in 2006, twelve years after the genocide that wiped out over one million people, to explore the connections between forgiveness and grief. Jennifer spent a month interviewing survivors and humanitarian aid workers, and returned to Seattle with something unexpected: the bones of a novel. Haupt's essays and articles have been published in O, The Oprah Magazine, The Millions, The Rumpus, Spirituality & Health, Travel & Leisure, The Sun and many other publications. Her popular Psychology Today blog, One True Thing, is a collection of essays contributed by and interviews with bestselling and emerging authors. 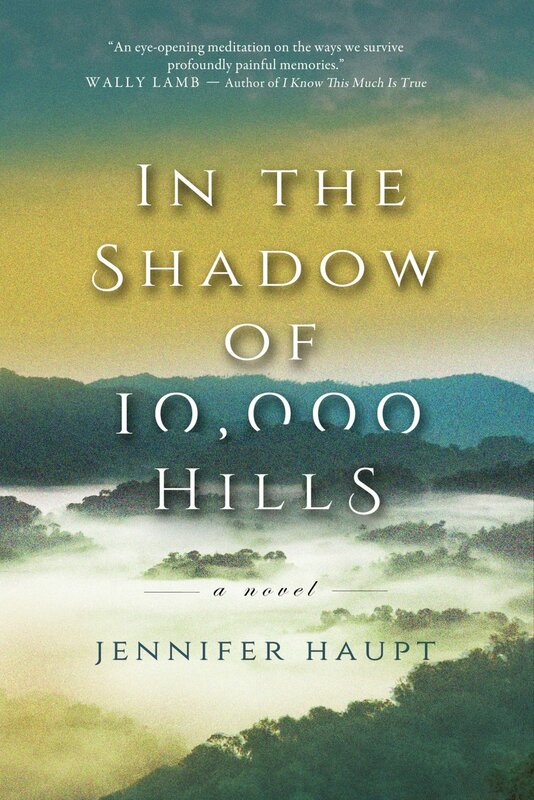 In the Shadow of Ten Thousand Hills is her debut novel.